Meet our new herdsire, Apollo! At least that’s his given name. I don’t know if it will stick or not, but I am certain that at a minimum Lindsey will anoint him with a rank at a point in the near future. I’m predicting Admiral even though I’m pretty sure he doesn’t own a boat. Apollo is a registered Kiko goat. The majority of our does are Kikos and the breed is reknowned abroad for their ease of maintenance. 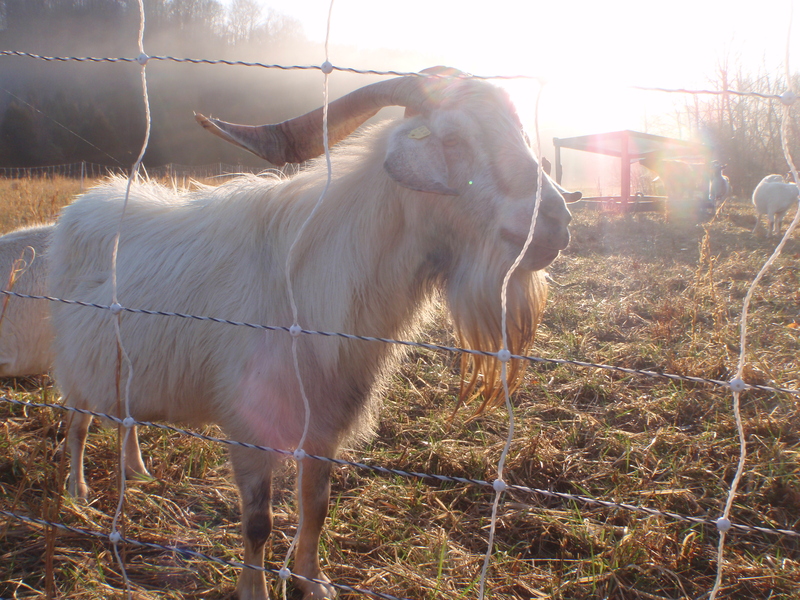 They are called the “go anywhere, do anything goat.” Well-bred Kikos have good sound hooves, good udders, plenty of milk, and grow quickly on pasture or browse with very little intervention from the goat herder. Read: they don’t need grain or consistent deworming. I got to see lots of Apollo’s progeny at his former farm, and they look great! I also noticed that the does we have right now are a lot larger-framed than the does in the other farm’s herd, so I’m hopeful that Apollo will produce even nicer kids with our does. This will be our first year breeding the goats. 4 of ours were too young to be bred last winter and the other 2 had had kids left on them for 6-7 months without being weaned and so were really thin when we got them. I decided the best course of action was to give them a season off to recover their body condition. Now all of the goats are in prime breeding condition, so I’m hoping that we’ll get multiple sets of twins so that we’ll have a good selection from which to choose superior does to add to our herd. The animals we don’t retain as future breeders will be sold as pets, brush-eaters, or grown out for meat. We should have 4-8 pure Kiko kids and 2-4 BoKi (Boer/Kiko crosses) from which to choose. 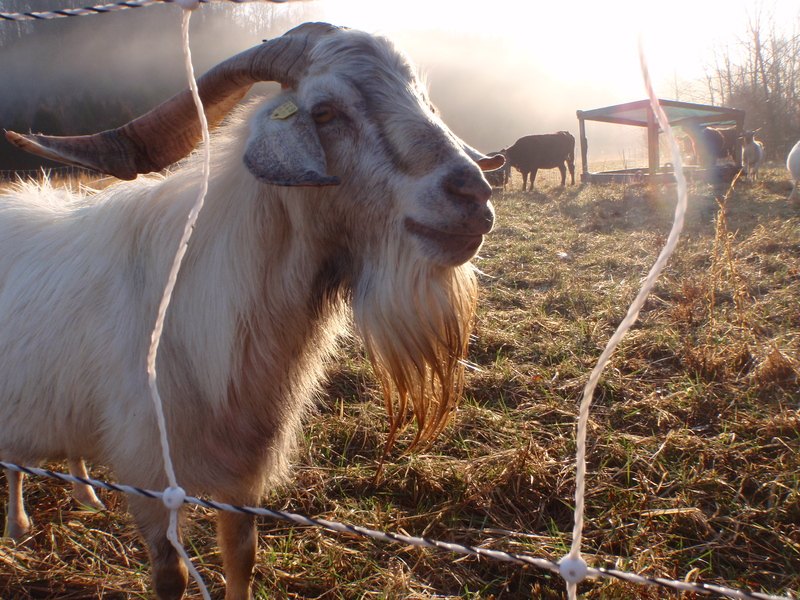 For people who haven’t been around goats, during the breeding season goat bucks will spray their urine on their beards and front legs. This advertises his virility and machismo to any does in the area and for some reason does find this “goat cologne” irresistable. I find that the smell is hard to get off of your hands. If all happens as it should from here, then we should start getting our first round of goat kids on or about April 11, 2012!